(Chuck Muth) – There are seven justices on the Nevada Supreme Court – which, like the U.S. Supreme Court before Donald Trump’s election, has tilted left. Indeed, according to Ballotpedia a Stanford University study in 2012 found that Nevada’s Supreme Court “was the 19th most liberal court” in the country. In addition, the U.S. Chamber of Commerce has characterized the Nevada judiciary as one of the most liberal, anti-business courts in the nation. On November 6, Nevada voters can dramatically change that. Justices Kris Pickering, Mark Gibbons and Ron Parraguirre are generally considered right-leaning judges. Justices Michael Cherry, Michael Douglas and Lidia Stiglich are generally considered left-leaning – with Justice James Hardesty being a “swing” vote who tends more often to the left side of the equation. In Seat F, Justice Douglas is leaving the bench. Abbi Silver, generally considered a judicial moderate who leans somewhat to the right, is running unopposed. So that’s a step in the “right” direction. In Seat G, Justice Stiglich – appointed by RINO (Republican in Name Only) Gov. Brian Sandoval – is decidedly a left-leaning liberal activist judge from San Francisco who will be on the ballot facing voters for the first time in November. She’s being challenged by Mathew Harter, a sitting District Court judge who self-describes as a conservative, strict constructionist – which is exactly what we want on the bench. He also points out Judge Stiglich’s shortcomings in the areas of “cronyism,” being funded to the max by personal injury attorneys, lack of experience, and poor time-management in her court. You can read details at www.JudgeHarter.com. In Seat C, the difference between the two candidates is even more stark. Liberal Judge Elissa Cadish is running to replace liberal Judge Michael Cherry. You may recall that Ms. Cadish was nominated in 2012 for a seat on the federal bench by President Barack Obama, only to have her nomination “blue slipped” by Sen. Dean Heller because of her decidedly hostile views of the Second Amendment. As such, Sen. Heller refused to allow her nomination to move forward. Unable to get a confirmation vote, she ultimately withdrew her nomination. Cadish is being challenged by Nevada Court of Appeals Judge Jerry Tao – who also self-describes as a conservative, strict-constructionist jurist in the mold of Antonin Scalia – which is exactly what we want on the bench. Judge Tao is clearly the most experienced judicial candidate running in 2018. He’s a former criminal prosecutor who has served as a District Court judge and currently serves as an appellate judge – the level just below the Supreme Court. He’s also been endorsed by the National Rifle Association. But just in case there’s still any doubt in conservative minds as to where Tao and Cadish are philosophically, in a recent forum both were asked to name the most inspirational judge who they’d like to write a biography on. Cadish said Ruth Bader Ginsburg. 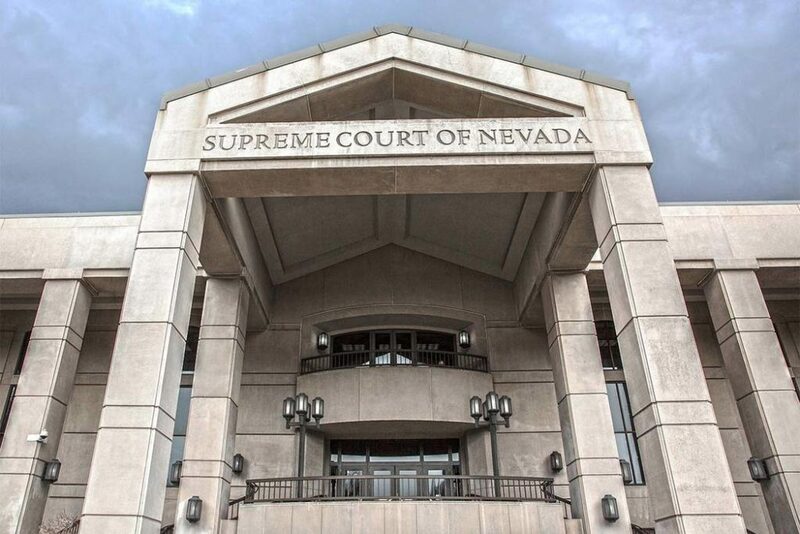 The bottom line is this: With the elections of Silver, Harter and Tao the Nevada Supreme Court will shift dramatically from left to right – just as the United States Supreme Court has decidedly shifted from left to right with President Trump’s appointments of Justices Neil Gorsuch and Brett Kavanaugh. For Nevadans wanting to avoid the nightmare of becoming “East California” in the future, getting these races “right” couldn’t be more important.